It has been a while since we visited Sunwell Plateau the last time. Back then it was extremely difficult to solo any of the bosses and gold farming depended entirely on trash mobs, and even they proved difficult. But things are a lot different this time. Trash still drops a ton of valuable stuff, including transmog epics worth over 20k gold and super rare profession recipes. But what about bosses? Lets go hunt for some Loot! 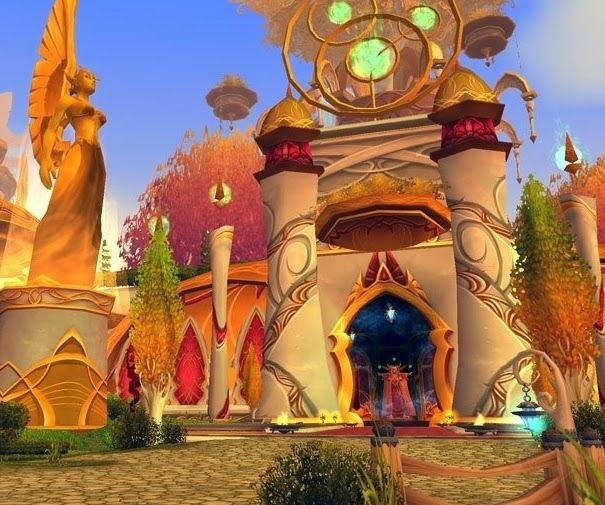 How much wow gold can you make farming Sunwell Plateau? This instance is very simple and takes only about 10 minutes to clear if you're fast. No tactics are needed, and the instance can be soloed without any difficulty on any class or spec, even eyes closed. To get to Sunwell Plateau, you first need to go to Shattrath and grab the portal to Isle of Quel'Danas, located close to the other portals. The instance itself is very close to where you spawn, takes only seconds to run there. You can often see rare recipes drop here! For the most part you can use mounts here, so you can do some very big pulls. I didn't see any mobs leashing back either, so feel free to pull as much as you can, LOS the mobs and AOE. What to do with BOP Sunwell Recipes? This particular pair of gloves has an average buyout of 5.8k gold. However, the materials aren't exactly cheap! It would cost about 5190 gold to craft them if going with the current AH prices. Majority of TBC reagents are extremely overpriced, and gives great gold making opportunities in wow, which I may discuss at later point. So if you are lucky enough to get a drop, crafting sunwell gear is not always ideal, and it's often a better idea to sell the mats instead. Gear like ilvl 159 epics with 2-3 sockets on them are mainly needed by elitists who want to level/pwn fast and effectively. If you are going to sell some, don't forget to stick either Haste Cardinal Rubies or Crit Majestic Zircons to the sockets. 40-60 extra rating at that level is crazy good and will easily last to level 85-90. Cardinal Rubies and a few other epic gems themselves are a gold mine, which I will also discuss soon. It will take a long time to sell these epics, so you will get heavy AH fees. It's often a better idea to sell using the trade chat instead.